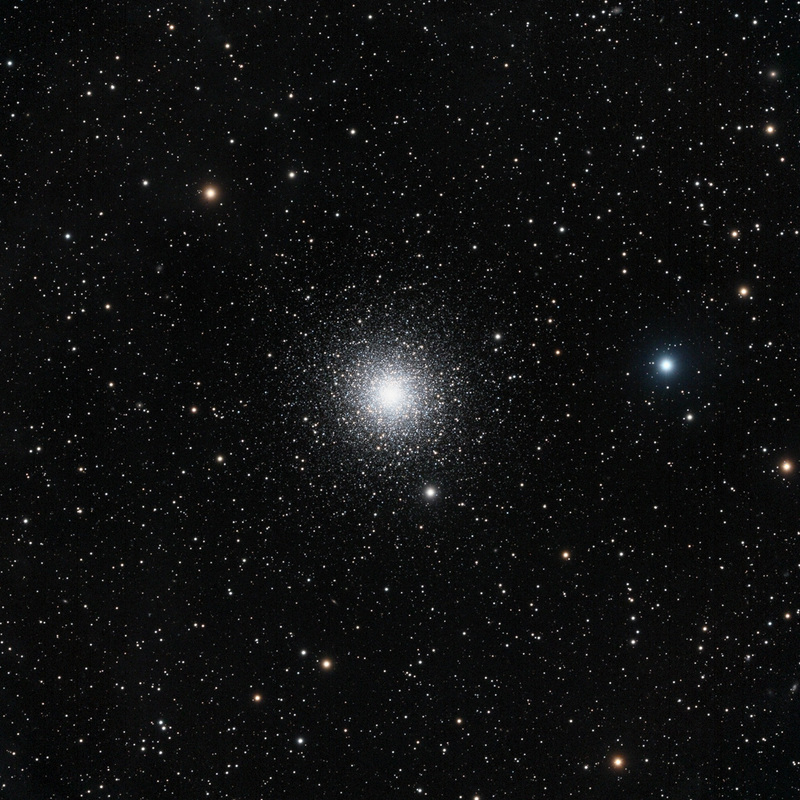 The globular cluster M 15 lies about 36,000 light-years from Earth in the direction of the constellation Pegasus. It spans nearly 175 light-years across and contains over 100,000 stars as well as a rare planetary nebula, Pease 1, named for its discoverer, the American astronomer Francis Pease. M 15 has one of the densest concentrations of stars within its core region of any cluster in the Milky Way, with an estimated 30.000 stars within an 11 light-year radius of the center. It has been suggested that this severe crowding at the center might be the result of a core collapse due to the mutual gravity of the great number of stars or possibly a black hole.